It’s not easy to find a paid survey site that offers a valuable loyalty program. This is because you usually have to float around at least a few different panels to make any real money off doing surveys. However, there are a few survey networks that offer loyalty programs and that also have a consistent flow of paid survey offers. We’re going to advise you on the few worth joining below, so give yourself a few minutes to read this before going anywhere! There are a few common types of loyalty programs that you will find at paid survey sites. The most common is a loyalty points system. Typically, this consists of rewards applied to your account that are credited as traditional points like you get for completing surveys. You might get loyalty points for completing a certain amount of surveys, for being extremely active in a particular month or year, or practically for anything. These reward programs are not so common and only a few survey sites offer any real benefits through their loyalty rewards. Most of the time you will notice paid surveys and other offers get paired together in get-paid-to sites, which are really just one big loyalty rewards scheme. Both are worth mentioning, so we’ll cover some of the better options for traditional survey sites with loyalty programs and survey-rewards sites with other great rewards. Survey takers at iPSOS i-Say earn loyalty points as a result of staying devoted to this panel. In the course of a year, you’ll receive these reward points by completing many surveys. After doing five in the same year you will get a 25-point bonus. This equates to a bonus of around five cents per completed survey, which gives you more of a reason to take their shorter surveys. With iPSOS i-Say, you can cash out by gift code after earning as little as $5 worth of points. If you want a PayPal withdrawal, you can take out $15 after you reach 1,530 points. This survey panel was one of our top-rated survey sites for many years. However, there are new contenders that deserve the top spots now. Still, iPSOS i-Say is a big name survey site with over 16,000 full-time employees. They complete more than 50 million survey-style interviews each year, and they are most definitely a legit paid survey panel to join. Try iPSOS i-Say today and start banking on your survey-taking commitment today! National Consumer Panel used to be more popular, back when it was known as Nielsen Homescan. But they’re still well-known and you might find it worthwhile to have an account with them. The Nielsen brand is huge, and there are many market research companies subsidized under The Nielsen Company. Not only that, but when Nielsen Homescan became National Consumer Panel it merged with IRI which is another large market research company, boasting 2,500+ employees worldwide. Even though there aren’t a whole lot of paid surveys now, this could change with time. And you can always use their barcode scanning program to earn extra on the side. Plus loyal members get free sweepstakes entries … which is enough reason to keep on scanning, as they hold a $20,000 draw four times a year. Since only Americans can join their barcode scanning program, you stand a better chance at winning a big prize here than in most other survey site draws. Regardless, their loyalty program is really lucrative. It gives you the chance to earn merchandise for a simple get-paid-to task. And it’s much more trustable than a typical get-paid-to mobile app with a barcode scanning feature. However, there are a few good-paying mobile apps — you might want to check out our list of the Best Money Making Apps . In the end, you get rewarded for completing such a simple action. You just need to scan the barcode of various items you buy, and then you’ll get reward points. These can later be cashed out for merchandise; they offer a booklet of products you can choose from, with items like electronics and jewelry, and much, much more. The cool thing … you actually get a barcode scanner mailed to you. This is a great alternative to the money-making apps that offer an in-phone scanner. You don’t have to worry about technical flaws like you will endure with most apps. Plus it’s pretty cool having a barcode scanner lying around your house! With VIP Voice, you are able to make your reward points add up very fast. They give you between 50 and 550 points for each completed survey. You can also earn between 25 to 200 points every time you get screened out or disqualified from a survey. The amount you will actually earn depends on your ranking level. You could be anywhere from a level 1 to a level 5 panelist on VIP Voice, depending on how many surveys you’ve completed. If you manage 20 or more, you will be level 5 and each disqualification can earn you 200 points, while every completed survey can make you 550 points. Interestingly, you won’t be requesting a withdrawal in the typical fashion that you would expect with most survey sites. Instead, you have the option to either cash out through Bidland or Sweepland. Bidland is like any other auction site, except you’re bidding on prizes with VIP points. There are two new auctions posted every hour so you won’t run out of things to bid on. You can assume that $1 equates to around 100 points. So this gives you an idea on how to bid; if a card is worth $25, it would be a waste to bid 5,000 points (worth approx. $50) for it. Sweepland is a good alternative if you’re feeling lucky, or if you want to hedge part of your earnings regularly. It’s actually pretty cool, because you can buy sweepstakes tickets for the chance to win many different prizes instead of a basic cash draw. You could spend points towards tickets in a draw for, say, $5,000 or maybe for a 60” HDTV or even a summer vacation getaway. Furthermore, you are able to pay for retail discounts by using your points. For example, you might find yourself spending some VIP Points to get upwards of 40% off your purchase on certain sites. But if you do this, make sure to determine how your points are getting valued as it’s easy to get under-compensated this way. However, this reward system can cause a bit of confusion. So to clarify, you can reach level 5 once you complete at least 20 surveys. From there you will get the maximum VIP points whether for participation or qualification. For being a loyal VIP Voice survey taker, you can pick up a lot of bonus points. You will get 10,000 of them for doing only two surveys in month one and two. If you stay active without leaving the site, you’ll get another 5,000 bonus points every month as a loyalty reward. Get started on VIP VOICE now! Univox gives you a $5 bonus (join and get your $5 now!) for signing up with them. After you earn another $20 you can request your first withdrawal. You could find yourself getting new surveys every single day by being an active Univox panelist. After proving your commitment, you can enjoy lower minimum cashouts. To do so, you need to climb the rankings — which include Basic, Verified, Premium, and Ambassador statuses. If you reach their Ambassador ranking you will be able to withdraw after earning at least $10 in points. Further, each survey that screens you out will still pay you 5 points. This means an extra nickel for every disqualification you get. While it is not much, it can add up over time if you stay loyal to the Univox Community website. However, this is not one of the top paid survey panels on the Web and you’ll likely be happier joining one of the options above. Their loyalty program is also pretty short from amazing, considering it mostly just gives you quicker access to your earned funds. And there are quite a few user reviews from 2015 and 2016 that indicate a lot of crediting errors and other technical difficulties, so it might not be worth the headache joining here. However, if you want to try Univox Community you can sign up and get $5 for free immediately and then decide whether the site appeals to you. You do not have to limit yourself to the standard paid survey sites. There are many get-paid-to sites that reward their members for completing surveys, scanning barcodes, and completing various other small tasks. 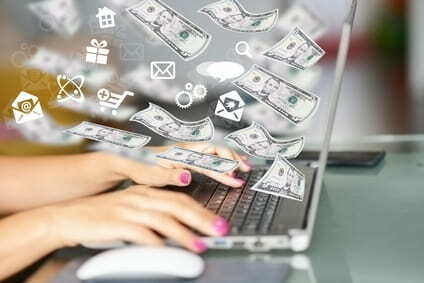 For instance, Inbox Dollars is a very popular get-paid-to site that compensates users for using their search engine, reading their emails, completing shopping offers, and more. You can cash out after earning at least $30, which is pretty easy since you get $5 instantly for joining and there are ways to earn more every day. Inbox Pays is similar to Inbox Dollars but a little less-known. They also reward all their new members with $5 right after signing up. On here you can get rewarded for playing games, reading emails, and doing surveys. Earning Station (for Americans) also gives you the chance to make money for doing just about anything. They kick-back rewards from email signups, website registrations, searching for stuff online, printing coupons, watching videos, and much more. This site also has a $5 signup bonus, and even better — you just need a $10 balance to request a withdrawal. There are certainly more, but these are some of the better survey sites with loyalty programs (and loyalty-based sites that pay) that we can recommend to you. Most alternatives are too small-scale and unable to provide a quality enough loyalty rewards structure for it to be worth your time to commit to them fully. That said, we’d love to hear if you know of any other great online survey sites that reward their users for staying loyal. If we missed any great offers, please comment about them below!